Sab The Book Eater: If I Stay Giveaway Winner! If I Stay Giveaway Winner! 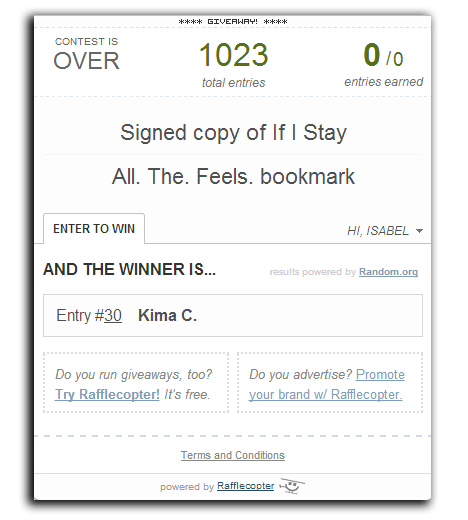 I finally picked a winner for my If I Stay giveaway!